Since college, I have made a pact (well... to myself) to wear sunscreen everyday. Well, congratulate me for I have been keeping my promise to myself for more than ten years. I have never missed a day without applying a sunscreen (Oh, unless I will out at night). Years ago, most sunscreen available locally are either too thick or too sticky so it was so hard for me to find my perfect daily sunscreen. Whenever I would find one, I would definitely repurchase it over and over again. Over the years, I also realized that the best sunscreens are the ones made in ASIA!! Pramis!! I received this Biore UV Aqua Rich Whitening Essence with SPF 50+ PA++++ a few weeks ago (or month? Sorry wala na akong sense of time) and I have been using it nonstop. I am almost halfway through the product already. This fact simply shows that I love using this product. Biore UV Aqua Rich Whitening Essence is made in Japan. It has whitening essence that melts into the skin. This sunscreen claims that it is cooling and light, softens and hydrates the skin, and contains citrus extracts. According to Biore, it has triple benefits: UV Protection, Hydration and Whitening. This suncreen is housed in a slim white tube with a pointed nozzle. I find the squeeze tube and the pointed nozzle very useful because I can easily control the amount of product to be dispensed. The texture of this sunblock if really lightweight. It has a cooling effect but it is nothing close to a mentholated product. It actually feels refreshing when applied on the skin. 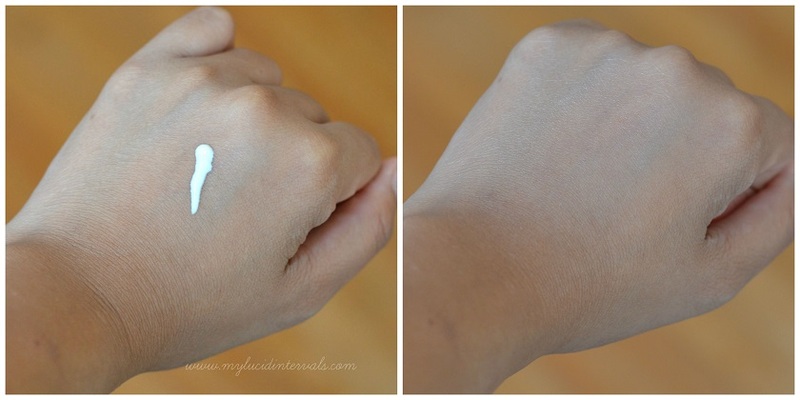 It is also hydrating making it very easy to blend with my moisturizer. It does not sting and dries to a semi matte finish (that is why I love it). It dries into a dewy/moisturized finish on the skin. This is not sticky at all and it did not irritate me nor did it sting my eyes. The consistency is not runny nor does it feel too heavy and thick. If you noticed this has PA++++. PA refers to the ranking of the amount of sun protection the sunscreen has against the harmful UVA Rays because SPF only gives/ranks protection from UVB Rays. PA++++ is currently the highest UV protection in Japanese in terms of UVA protection. It does give a very slight white cast on flash photography but this is hardly noticeable. It does not alter the shade of my foundation or powder. I really love the subtle citrus/fruity scent that it has. Overall, I am in love with this sunblock. Will I repurchase? -- DEFINITELY!!! This only costs 350- 450 pesos and the product is really good. It has all the qualities I am looking for a sunscreen -Light, Hydrating and with a high SPF and PA rating. Thank you so much for blogging this. I do wear sunblock also but not as religious as you. It is just like when I swing by it in the beauty store and I want to try and if i don't like it then I will not force myself to look for another one. The one that I am using right now feels heavy and sticky, after applying it makes me looks like I am so oily or I have a wet face that i did not pat dry that is why I really need to put on base foundation or powder. hi ms donnarence, im really confused, to lessen pores and have a flawless finish, need po ba muna mgapply ng sunblock then primer,then foundation then powder or meron p po,i noticed po kc even i do this step,my pores are much noticeable. For every day use po ito?